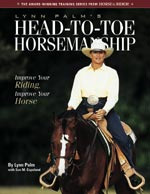 In this new book Lynn Palm gives you a complete program to develop your horsemanship and riding skills. 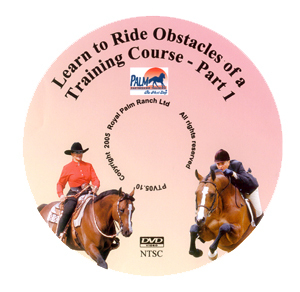 Are you looking for fun ways to train you and your horse outside of an arena? 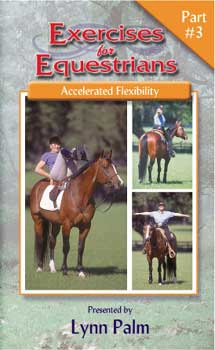 Are you looking to make your horse happier? The lateral movements in Part 3 advance the horse's straightness by asking him for the greatest degree of hind leg joint flexibility and hindquarter mobility. 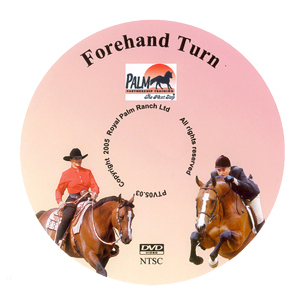 Take the Next Step in the progression of lateral training with new movements to build the balance your horse needs for advanced straightness and collection. 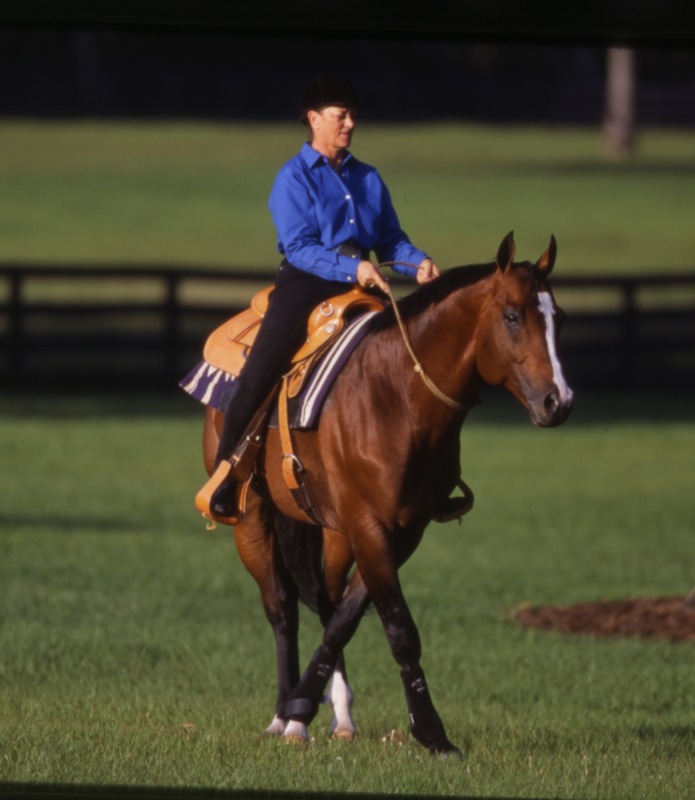 In Part 1, "Basic Lateral Training" builds a solid foundation for achieving success at lateral work to improve the horse's self carriage and collection. 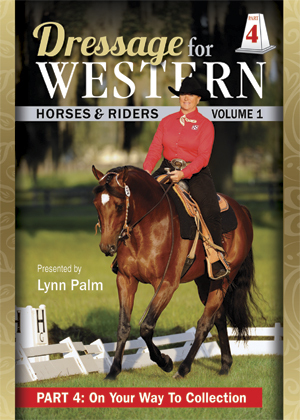 Dressage Principles Volume II Series (3 Parts) for the Western Horse and Rider. 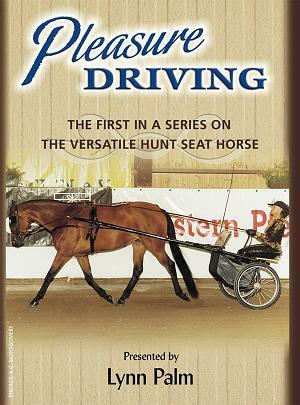 Dressage Principles Volume I Series (5 parts) for the Western Horse & Rider. 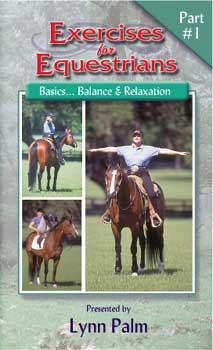 With this challenging ground training course you'll improve your horse's manners, coordination, concentration, and more! Perfect for the young horse or seasoned campaigner. Reg. Price $29.95 $25.46 On Sale! 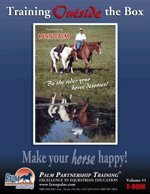 In this DVD series you will find my secrets for teaching obedience, manners, trust and acceptance -- simple ground training techniques to teach your horse how to trust and to respect you. 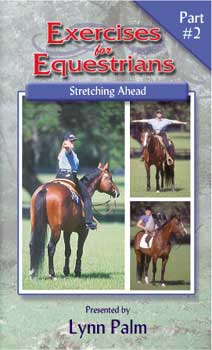 Keep your horse happy and willing to be clipped with this stress free training. Would you like to create a special bond with your horse? I start all my young horses in the side pull bridle when teaching ground work maneuvers, such as turns on the forehand, turns on the haunches and yielding. If you're riding Western, these reins are a must! 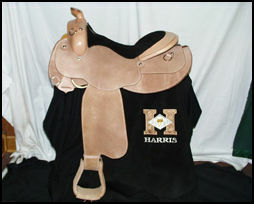 Both you and your horse are sure to appreciate the many benefits of this comfortable, close contact saddle with the classy look of a high dollar saddle. 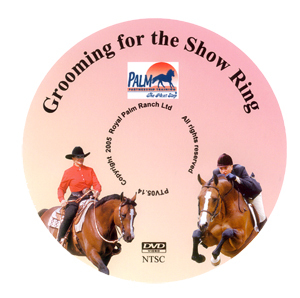 Palm Partnership Training is proud to present the DVD series, Hunt Seat Equitation! 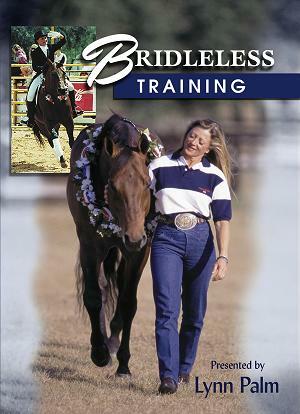 Bridleless Training is for the rider as well as for any breed of horse in any discipline. 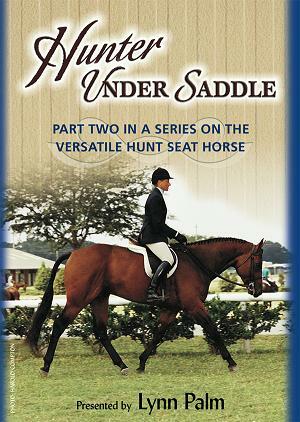 Hunter Under Saddle is the second DVD of Lynn Salvatori Palm's series on the versatile Hunt Seat Horse. World Class Trainer, Lynn Salvatori Palm, is recognized internationally for her training and instructing ability. Pleasure Driving, offers so much more than meets the eye! Reg. Price $39.95 $33.96 On Sale! 25 minute lesson on training outside the box. Reg. Price $9.95 $8.46 On Sale! 25 minute lesson on easily bathing your horse. 25 minute lesson on learning to groom for the show ring. 25 minute lesson on training the turn on the forehand. 25 minute lesson on training yielding. 25 minute lesson on choosing a western performance horse. 25 minute lesson on choosing a hunt seat performance horse. 25 minute lesson on putting your horse in balance through proper bending. 25 minute lesson on learning to ride obstacles of a training course. 25 minute lesson on Lynn's best kept secrets. 25 minute lesson on riding Bridleless.